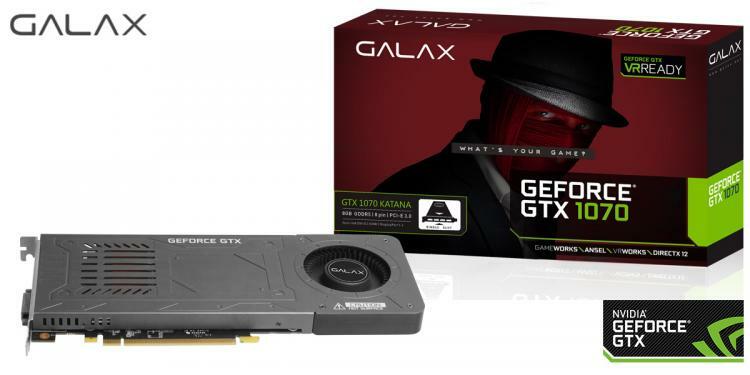 GALAX dishes out the single-slot GTX 1070 KATANA graphics card with is only 16mm thick. It is the first ever single PCIe slot variant of the VR-ready GeForce GTX 1070 in the world! 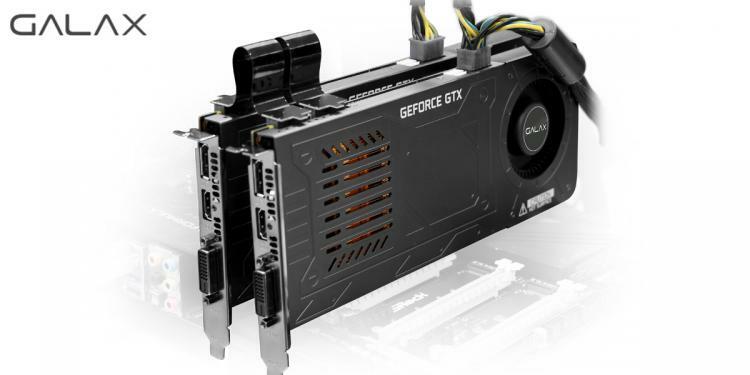 The GALAX GTX 1070 KATANA uses a custom PCB design as well as cooling engine to keep it thin, compact and a cooling engine that’s powerful enough to provide efficient heat dissipation. The card also supports some of the latest NVIDIA technologies including Ansel, G-SYNC, GameStream, GPU Boost and of course SLI technology. The GALAX GTX 1070 KATANA uses what GALAX calls a ‘turbo radiator’ this uses a blower-type cooler. The heat sink module uses RazorC Technique wherein it is fitted with fine copper cooling fins and an advanced vapour chamber that provides efficient cooling with consistent performance. The ventilation holes are laid out intricately to maximize cooling as heated air comes out of the graphics card which is not limited to the rear I/O shield. Hot air is also blasted out of the card at the rear-bottom of the card. To achieve a smaller chassis and fit the thin and compact cooler, the GTX 1070 KATANA uses a custom PCB design. Along with high-quality components and optimizations done on the electrical circuitry, GALAX promises the KATANA will perform or even outperform its competitors. For more information on the GALAX GTX 1070 KATANA, visit the GALAX website.